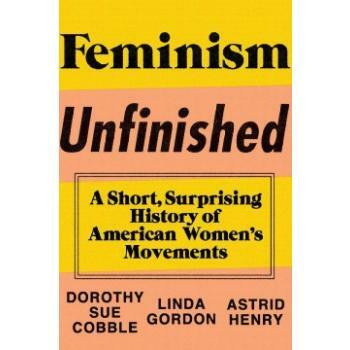 Eschewing the conventional wisdom that places the origins of the American women's movement in the nostalgic glow of the late 1960s, Feminism Unfinished traces the beginnings of this seminal American social movement to the 1920s, in the process creating an expanded, historical narrative that dramatically rewrites a century of American women's history. Also challenging the contemporary "lean-in," trickle-down feminist philosophy and asserting that women's histories all too often depoliticize politics, labor issues, and divergent economic circumstances, Dorothy Sue Cobble, Linda Gordon, and Astrid Henry demonstrate that the post-Suffrage women's movement focused on exploitation of women in the workplace as well as on inherent sexual rights. The authors carefully revise our "wave" vision of feminism, which previously suggested that there were clear breaks and sharp divisions within these media-driven "waves." Showing how history books have obscured the notable activism by working-class and minority women in the past, Feminism Unfinished provides a much-needed corrective.